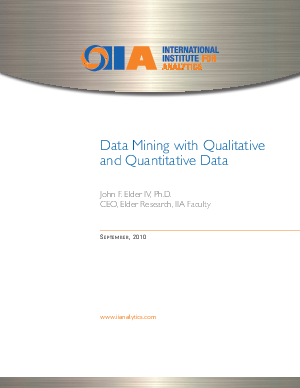 Data mining is past the hype stage and has proven that it can produce significant bottom-line results. This paper discusses the many measurable benefits that data mining delivers, including solving complex needle in the haystack problems, eliminating the bad (such as fraud), pinpointing the good (opportunities), and streamlining decision processes. Learn how organizations are using data mining to solve their problems, including a $1 billion decision that produced positive results.